Keeping consumers safe behind the wheel of the new 2019 Subaru Crosstrek is the brand’s top priority. See how safety could be its greatest attribute. 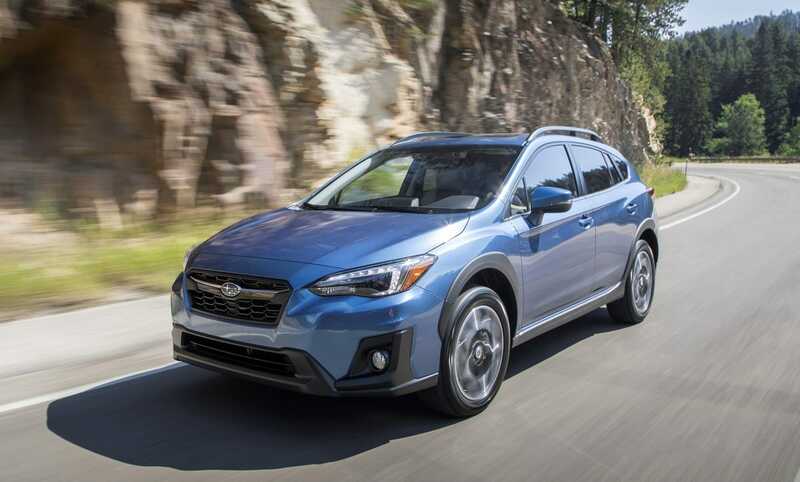 Consumer Safety remains Subaru’s number one priority across their vehicle lineup and now the second generation Crosstrek comes standard with Subaru’s EyeSight driver assist technology on all trim levels equipped with a CVT automatic. The new 2019 Crosstrek is a big hit with millennials looking for a sporty, all-wheel-drive crosser with a “go-anywhere” attitude, but safety could be its greatest attribute. The Japanese automaker touts safety as their top priority and has been moving in the direction of making EyeSight standard across their entire all-wheel-drive lineup. The 2019 Subaru Crosstrek will be offered in three trim levels: 2.0i base, 2.0i Premium and 2.0i Limited and they all come with standard EyeSight. Except for vehicles like Crosstrek that still offer a 6-speed manual gearbox that can’t be equipped with EyeSight, all trims come with the driver-assist safety system. Subaru says they want to be the global leader in overall safety and they continue to move in that direction. They've been developing their EyeSight driver assist safety system since first launching in 1999 and have used stereo cameras as safety devices ever since. The Active Driver Assist (ADA) continues to be developed to this day in the new-generation EyeSight found in the second-generation 2019 Subaru Crosstrek. A study in Japan found all Subaru vehicles, when equipped with EyeSight, had fewer accidents than non-equipped vehicles. This investigation was done in Japan by the Institute for Traffic Accident Research and Data Analysis (ITARDA). Crosstrek has been named an Insurance Institute for Highway Safety (IIHS) Top Safety Pick for seven years running (2012–2018) and the new-generation Subaru Crosstrek received the highest possible rating for front crash prevention from IIHS when equipped with EyeSight. Consumers are responding to the new Crosstrek in a big way. Sales of the second-generation crosser were up in May, 74.4 percent over the same month in 2017 and it helped SOA mark the best month ever for the Subaru brand. Safety features along with its sporty attitude and fuel efficiency will likely keep the new 2019 Subaru Crosstrek the brand’s hottest vehicle in the stable.